The traditions of a school speak to the unique aspects of their communities. At Dublin our traditions are built upon the idea that true learning takes place when individuals are challenged to work together and to try new things in an environment that is both challenging and supportive. We like to work hard and have fun, and we are not afraid of taking the time to celebrate those wonderful moments of personal growth. I fell in love with Dublin School at my first Morning Meeting. The entire school gathers five days a week in the Shonk Recital Hall for Morning Meeting. Any member of the school can stand up and say what is on their mind, recite a poem, play an instrument, talk about current events, start a club, or talk about a recent game. Freshmen sit in the back rows, seniors in the front, and seniors are always excused first from the Hall in recognition of their leadership of the school. Every year during the first week of school the whole community heads off campus for a long weekend of camping and bonding. 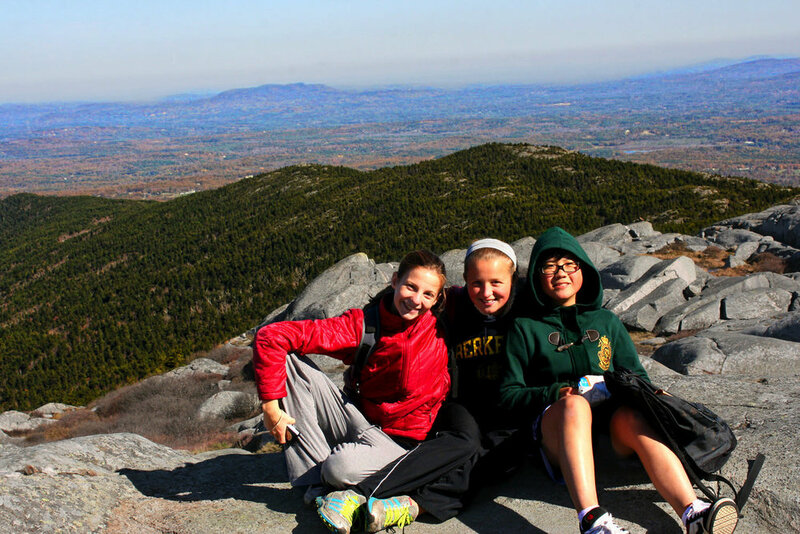 From trips to New England state parks to more adventurous canoeing and hiking trips, students make new friends and get to know teachers and fellow students they might not otherwise meet at the start of school. Our founder, Paul W. Lehmann, believed strongly in getting young people outside to enjoy and appreciate our beautiful natural surroundings. 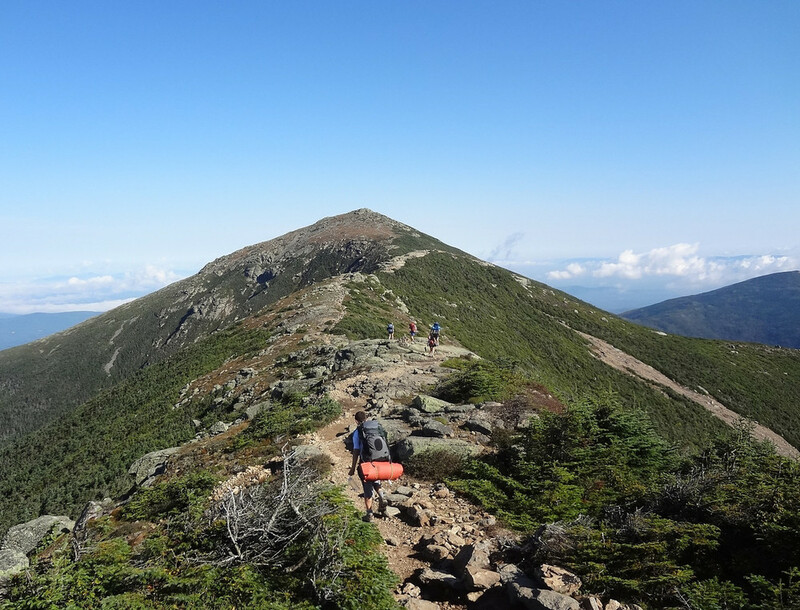 We are fortunate to live just under the shadow of Mount Monadnock, a mountain so spectacular that Henry David Thoreau once walked from Concord, Massachusetts to climb it. At least once a year Mr. Lehmann would put on his boater hat, walk outside on the quad, look up at the blue sky, and blow on his horn to signal that it was Mountain Day. Today we continue that tradition and students still come running and screaming out of their classes to prepare to the climb the mountain. It is always one of my favorite days at Dublin, especially when we get everyone to the summit. Mt. Monadnock from the top. Mr. Lehmann called Work Gang “the most important class in the school.” He felt that many of our students had grown up in areas where they constantly saw “Do Not Walk On The Grass” signs. Work Gang was designed to get them outside, learning a new skill, and working as a team. Today we have Work Gangs running our maple syrup operation; building bridges and trails for Nordic and alpine skiing, mountain biking, and running; bee keeping; organic gardening; recycling; splitting wood for people in town; and building lean-to’s. I have been a big fan of Moxie Soda for some time and I am also someone who loves to celebrate people who have “moxie”! I regularly give out Moxie Sodas to students who bring a little moxie to our campus by making the community a more unique, fun, or interesting place to live. Winters can be long in New England, which can either be good or bad depending on your perspective! We like to celebrate winter right smack in the middle of it. 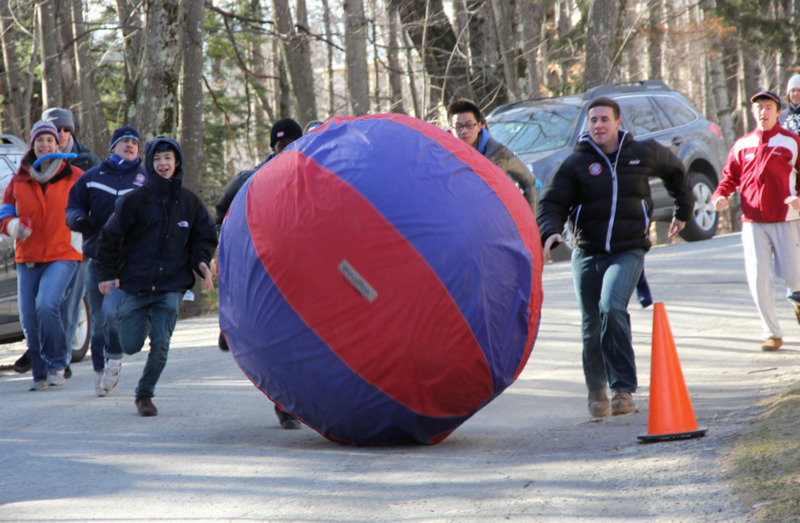 For one week the faculty and students break up into teams, dress up in various costumes during the week, engage in a hilarious lip-sync contest, and then go outside for a day of ski races, sledding, maple syrup on-ice curling, human bobsled races, and giant ball rolling. We end the festivities feeling energized for the second half of winter. Mayfair, our traditional celebration of spring, provides and opportunity for students to take the stage for an outdoor coffee house experience, choreograph a dance to the year’s theme, play in the home sporting events, and welcome parents back to campus for an informal parents’ weekend. 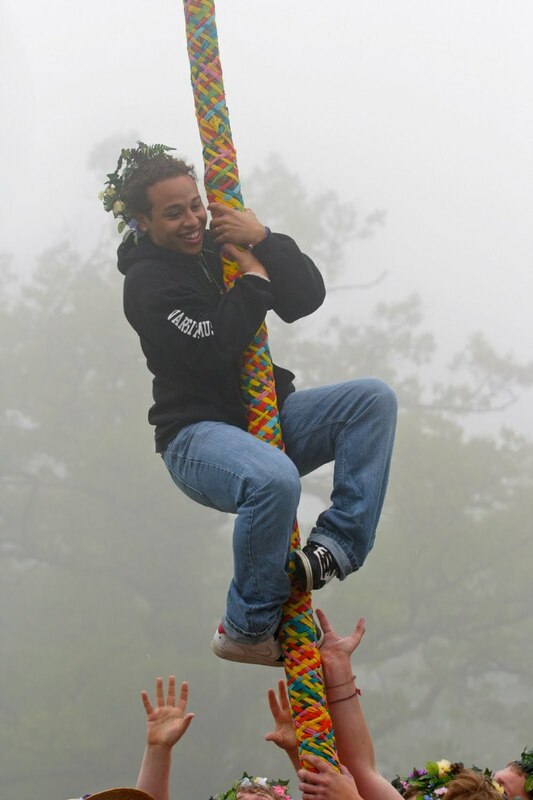 The seniors make up the heart of the event and mark their coming together as a class by weaving their ribbons together around a maypole (in outlandish costumes of course). The North Bell allows individuals in the community to celebrate personal accomplishments. Donated in the memory of longtime faculty member William North, members of the community are welcomed to ring the bell in recognition of a personal accomplishment in the spirit of the positive encouragement that Mr. North provided to so many students at Dublin. “Truth and Courage” is the school’s motto and we like to recognize people who demonstrate or develop truth and courage in their lives. Any member of the school can send a nomination to the Head of School to award a truth and courage t-shirt to a member of the community for bringing our motto to life.